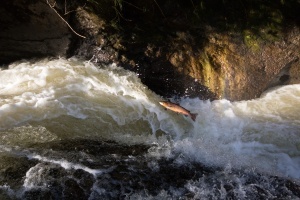 The North Atlantic Salmon Conservation Organisation have commissioned a video to mark the International Year of the Salmon, narrated by Sir David Attenborough and facilitated by Salmon and Trout Conservation and PACE Productions. We are raising awareness and disseminating information to key parties through our annual conference, our What Do Wild Salmon Mean To Me project, an exhibition in the Scottish Parliament in May and an open day with the Marine Scotland Science Freshwater Fisheries laboratory in June. We will also be promoting the extensive array of practical conservation and management work our member district salmon fishery boards and rivers and fishery trusts deliver on a routine basis.